A haven of affordable luxury, the Fresh Hotels serves up urban delights in bite-sized chunks. Everything in this well thought-out property is geared towards upscale functionality, from the bike rentals to the city-savvy staff that will help you navigate the area’s growing multiculturalism to maximum advantage. 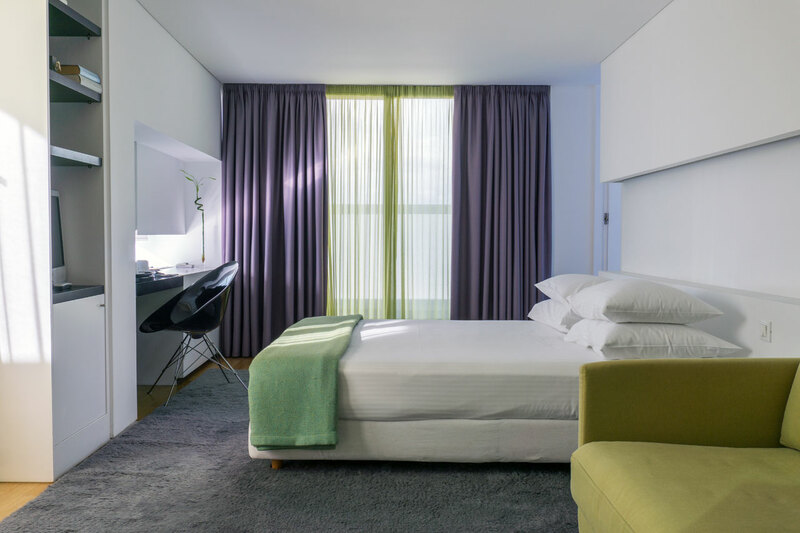 The 133 rooms (superior, executive and suites) pack a bright punch, mixing serene white interiors with colourful glass accents that have become something of a Fresh Hotel trademark. 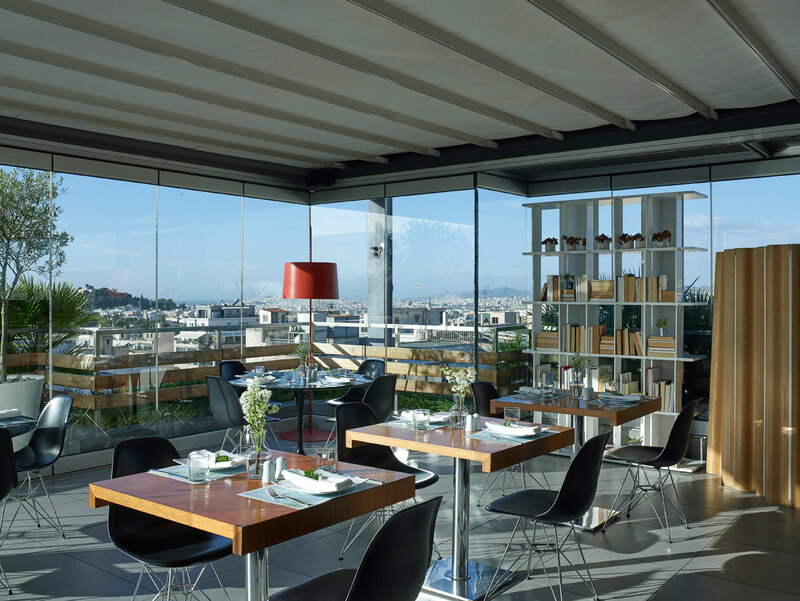 Its proximity to the Athens Central Market means the 1st floor Magenta Restaurant implements a strict market-to-table policy, offering a locally sourced menu with a predilection for Greek island specialties. Don’t miss out on the chance to peruse the endless stalls of luscious produce for yourself, although a few tips from the kitchen staff on what to pick will probably come in handy. 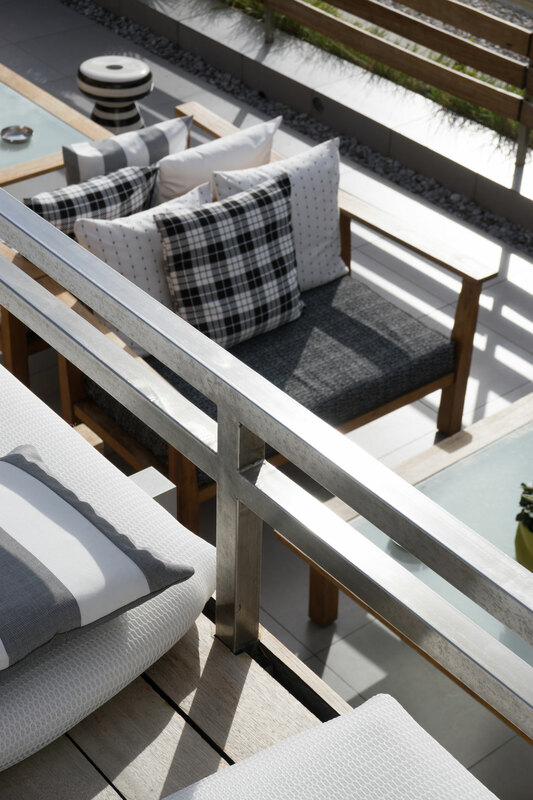 The Fresh Hotel ups its game on the 9th floor, where the Air Lounge Bar combines a plunge pool and a relaxing sun deck with a breathtaking view of the Acropolis. 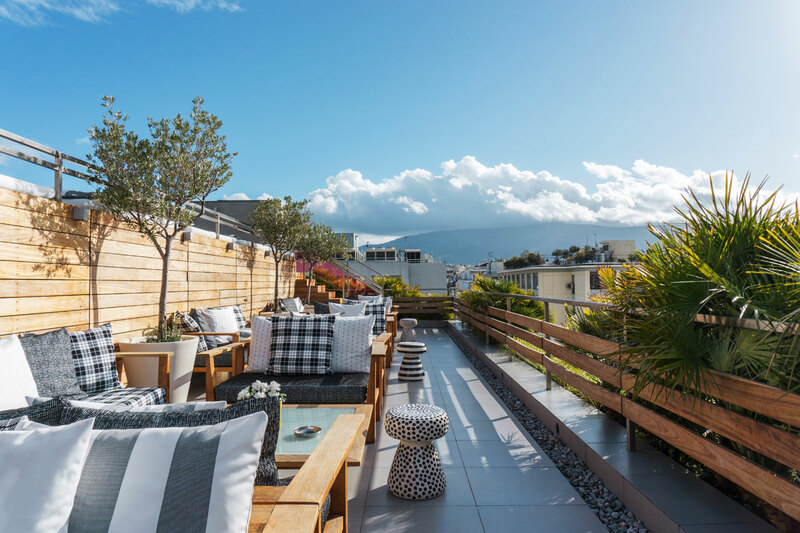 Come summer, this miniature oasis turns into one of the hottest open-air cocktail bars in town, which means you don’t have to stray very far for a fun night out on the town. All you have to do is hit the roof!